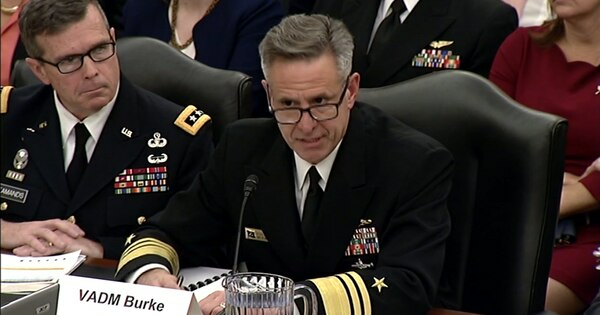 Service and defense officials outlined programs in place and under consideration to limit military moves during a Senate hearing Wednesday, ranging from servicewide initiatives to personnel tweaks ... even the possibility of allowing troops to decline a promotion if it means avoiding a change of station. “The one thing I hear consistently is that frequent relocations create a great disruption to the family, to employment and a number of other things,” said Sen. Thom Tillis, R-N.C., who is chairman of the Senate Armed Services’ subcommittee on personnel, during a Wednesday hearing. Military families would get some extra flexibility in their timeline during permanent change-of-station moves. The service’s “market place detailing” program has resulted in 25 percent of sailors’ next career moves over the last two years keeping them in the same home port, Chief of Naval Personnel Vice Adm. Robert Burke. The process allows them to consider geographic stability when possible, he said. The service is testing the idea of using technology to let officers view openings and requirements, and input their preferences, said Lt. Gen. Gina Grosso, deputy chief of staff for manpower, personnel and services. “We think leveraging technology will make it easier for people who want to move, to move, and people that want to be stable, to be stable,” Grosso said. Officials are slowly implementing the tech across the officer force, she added. The service also implemented a “second assignment in place” program for pilot retention. Allowing airmen to opt out of promotions ― a personnel policy change that’s been floated within DoD ― could also make a difference, she said. Before the service issues PCS orders, a “monitor” talks with the Marine, taking into account the spouse and family situation, said Lt. Gen. Michael Rocco, deputy commandant for manpower and reserve affairs. “We support any effort to protect their ability to have jobs or protect their jobs,” Rocco said. Another initiative designed to improve family stability is a proposal to reduce the amount of time of unaccompanied tours overseas for married Marines, from the current two years down to 15 to 18 months, Rocco said. Defense Secretary Jim Mattis has signed a directive creating a “close combat lethality task force,” which could ultimately have an impact on family stability for Army and Marine Corps front line close-combat units, said Robert Wilkie, the Pentagon’s personnel chief, who will head the task force.